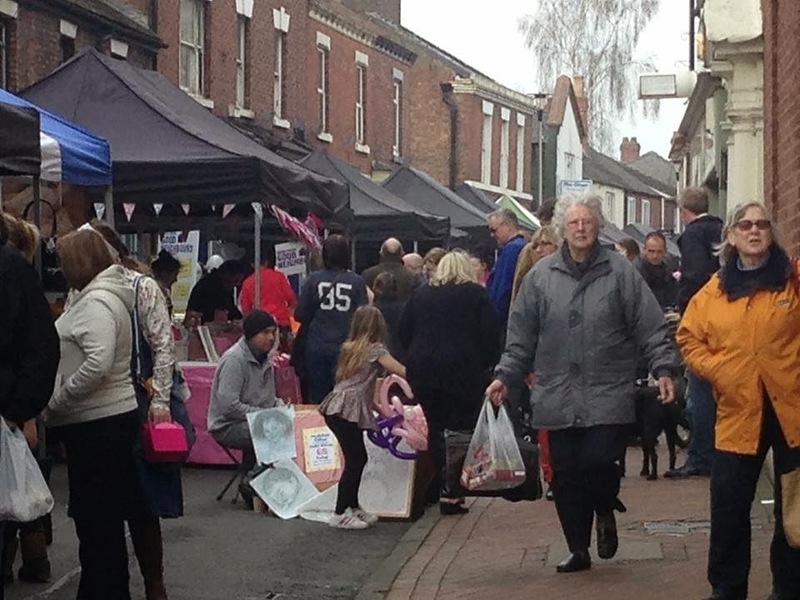 Following on, as the Town Clerk so eloquently put it, 'seamlessly' from the popular Artisan Market, the Makers Market in Middlewich began on the 29th March and continued the tradition. 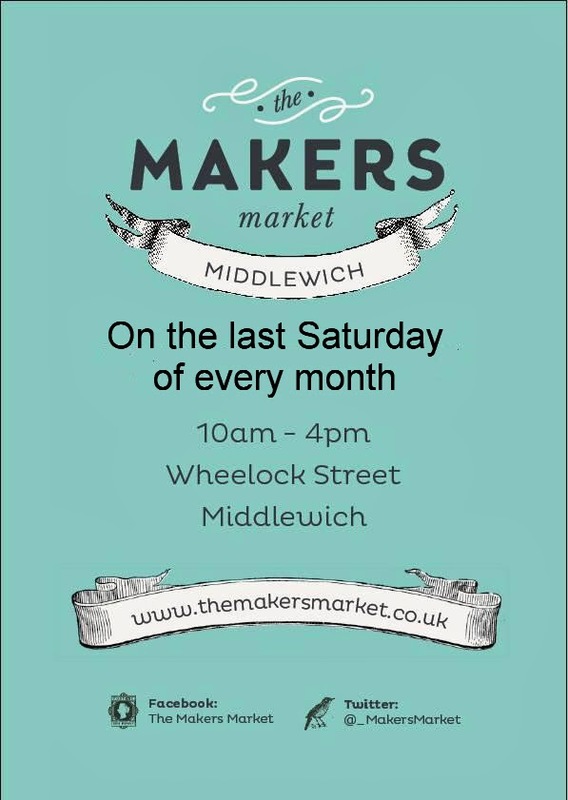 It's TODAY everyone - the launch of the Middlewich Makers Market! The event will have a Mothers Day twist, with over 50 of the finest food, drink, art and craft stalls, with lots of specials designed to appeal to mothers. To keep the little ones entertained we have face painters, portrait artists and a very talented balloon modeller. News just in from Makers Market HQ - Final trader numbers confirm that today will be the largest Middlewich Market ever!! We have over 60 stalls! Thats over 60 fabulous creatives and talented cooks, chefs and food growers. How exciting! We are also holding a competition to say thank you to our stall holders. The best dressed stall will win a certificate and a free stall at nexts months market! See you all there! I'll be on the bouncy castle or quietly bopping to the swing tunes of our Vintage DJ's. 10-4 Wheelock Street.